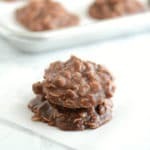 The BEST Chocolate Peanut Butter No Bake Cookies! 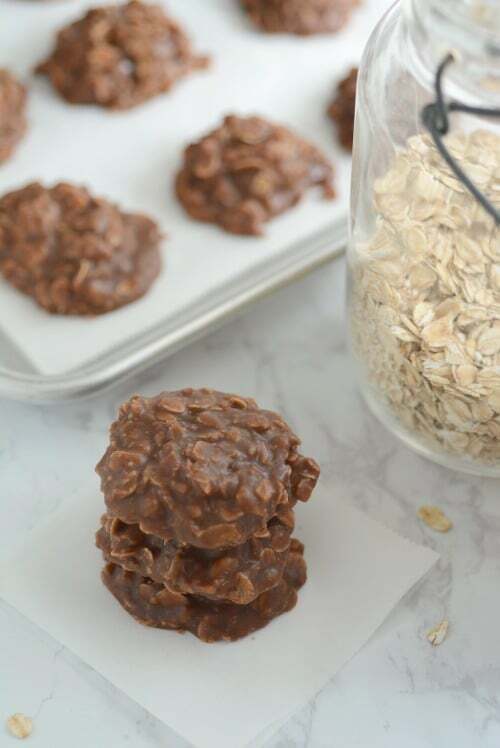 These easy Peanut Butter Chocolate No Bake Cookies are a classic, loaded with oats and chocolate-peanut buttery goodness–perfect for a special treat! When I say these are THE BEST No Bake Cookies, I mean it. Because they have the distinction of winning a No Bake Bake-Off. Of sorts. In fourth grade, a friend of mine and I were boasting about how great our mom’s cookies were. Both of us loved No Bake Cookies and both of us were convinced our mom made the very best ones. So we decided to make it interesting. 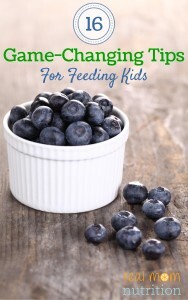 We asked each of our mothers to make a batch and pack one in our lunch boxes for a cafeteria showdown taste test. Turns out, her mom’s were actually better. Once I recovered from my shock, I swallowed my pride and asked for the recipe. And I’ve been making them ever since. 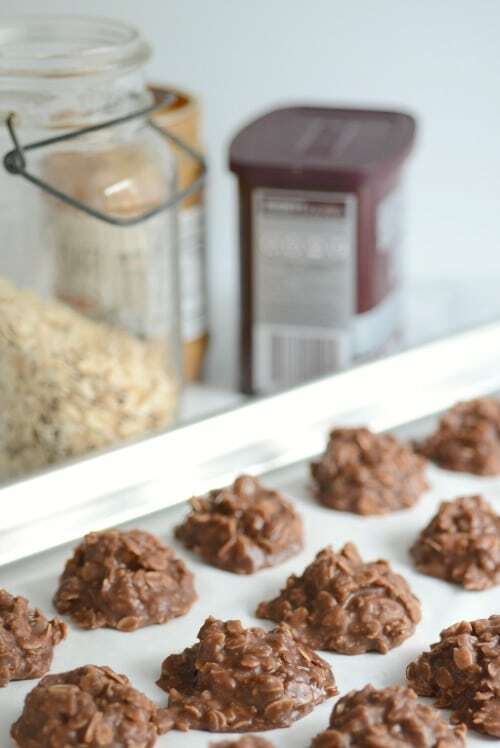 I know there are health-ified versions of these cookies out there–with coconut sugar, chia seeds, and what have you–but I’m a purist when it comes to No Bakes. I’d rather make the real deal and enjoy them a couple times a year. These No Bake Cookies are my dad’s very favorite cookie and my 13-year-old’s very favorite cookie. They’re one of my very favorites too. Once the cookies are cooled and hardened, store them in an airtight container and use within a week (but I doubt they’ll last that long!). Yes! Simply place the (cooled) cookies in a freezer bag, seal out the air, and store in the freezer. Allow to thaw…or eat them frozen (they’re still good that way!). 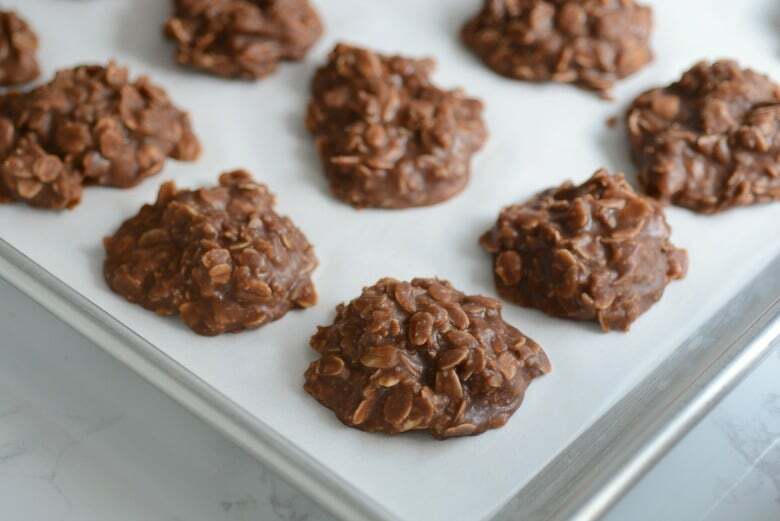 These Easy Peanut Butter Chocolate No Bake Cookies are a classic, loaded with oats and chocolate-peanut buttery goodness--perfect for a special treat! 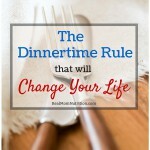 *Note: I have tried using natural peanut butter in this recipe--the kind with just peanuts or just peanuts and salt--and the cookies are simply too dry. Combine sugar, cocoa, butter, and milk in a large saucepan and stir over medium-low heat until combined. Turn heat to medium and cook, stirring occasionally, until mixture comes to a full boil. Boil for one minute, stirring occasionally. (Watch the clock closely--if you don't boil them long enough, they will not set. Boil them too long, and they will be dry.) Remove from heat. 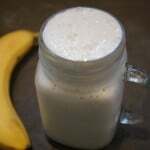 Add peanut butter, vanilla, and oatmeal to mixture and stir until combined. Drop by the tablespoon onto a baking sheet. 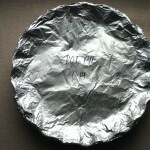 Cool, then remove from sheet with a spatula, and store in an airtight container. Help! My No Bakes Are Too Soft! Boiling the mixture for less than a minute will produce cookies that are too soft. Boiling more than a minute may lead to cookies that are too dry. 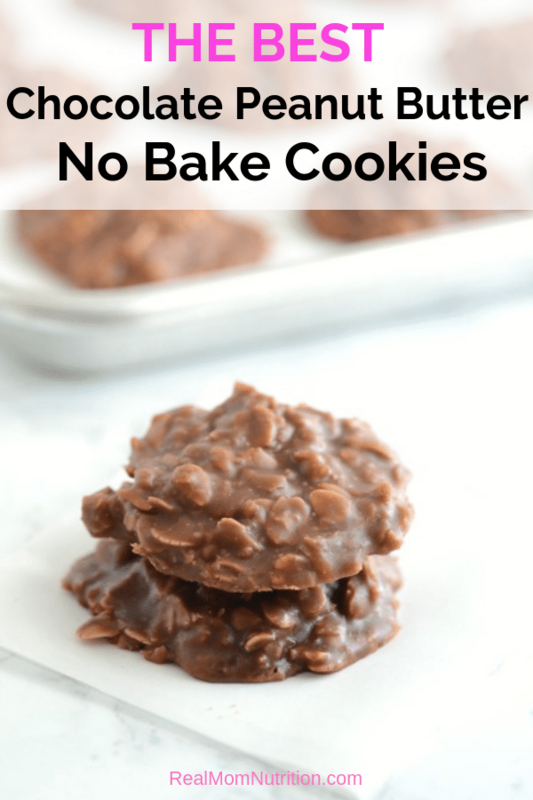 Check out this trouble-shooter for no bake cookies in case your cookies turn out too dry or too gooey! Blast from the past!!!! I used to make these in grade school too (a million years ago), it made me feel so independent in the kitchen because I could “bake”. I love no-bake cookies! This recipe is very similar to mine. I figure they’re fairly healthy as far as cookies go – they’ve got lots of oatmeal and some PB! You almost had me…I was thinking this would be a healthy alternative to all baked cookies, which are all cancer causing, due to acrylamides formation during the baking process. But, you are causing the same acrylamides to form my putting ingredients in a sauce pan over high heat! Still cancer causing cookies!!! Grace–I’m not sure if you’re trolling me or if you really believe what you’re saying. But at any rate, we’re going to need to agree to disagree. If that’s the case, Grace everything in the world can cause cancer somehow or some way. 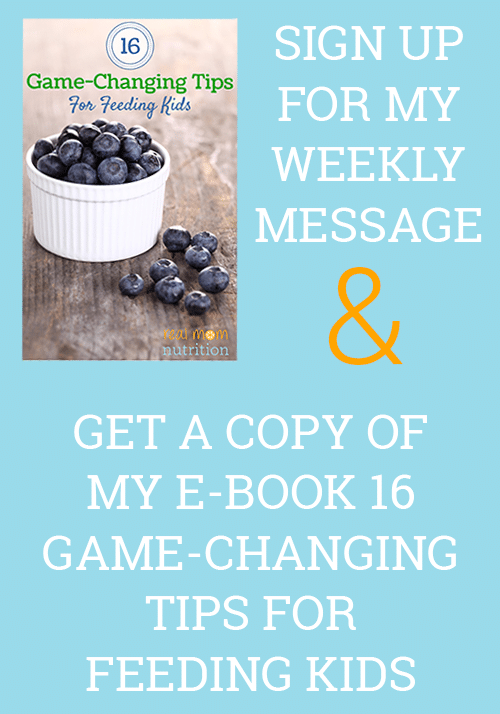 …….. Sally, thank you so much for sharing this recipe with us. I choose to eat a cookie in moderation and enjoy life. This has been my favorite cookie/ candy lol all my life. Oh my! My whole family should have cancer! LOL! I myself have had cancer 3 different times. Still going strong my husband will eat the whole batch, this receipe is very good tastes like mom used to make!! There is no definitive evidence that acrylamides cause cancer in humans. https://www.cancer.gov/about-cancer/causes-prevention/risk/diet/acrylamide-fact-sheet. These are NO BAKE Cookies and according to the FDA(https://www.fda.gov/Food/FoodborneIllnessContaminants/ChemicalContaminants/ucm053569.htm), boiling generally doesn’t cause the formation of acrylamides. Everything in moderation. LMAO go eat some grass then! What in the?!?!! Just relax and enjoy some cookies. I HIGHLY recommend using margarine with these! Any time I use real butter they turn out dry and crumbly. I made a batch last week following this recipe with margarine and they were the best No-bakes I’d ever made. Just finished making some today wuth real butter and I’m going to have to use them as icecream topping because they arent edible as a cookie. Glad you enjoyed the recipe. I’ve made these for years with butter and they’ve never come out dry, but glad the margarine substitution works better for you. I’ve had this happen to me too. I believe my mistake was letting the chocolate mixture cook too long. Has anyone tried crunchy peanut butter? Yes, I’ve used crunchy–just adds more texture obviously. 🙂 Be sure it is regular crunchy pb (not natural) for best results. Just curious, was your moms recipe the same ingredients with different measurements or different ingredients all together? As I remember, it was the same basic ingredients but in different proportions. My mom’s cookies weren’t nearly as peanut butter-y and were much drier than these. Made your no bake cookies today and they came out beautiful!!!! I did use crunchy peanut butter cause I like.nuts.!! Thanks for the recipe !! So glad to hear that! Thanks for letting me know. Yummy! I am going to try these soon! From another registered dietitian… On the cancer comment… you can honestly find info that pretty much anything and everything causes cancer these days, as for food… moderation is key! If you are truly so worried you wouldn’t eat this cookie (or any cookie ) you should probibly stop using your cell phone or computer as well! I have never used butter just because the hints my mom said you should always do the make the cookie just right is margine, don’t start the timer until it is a full boil, put in the peanut butter first and let melt slightly and used good ingredients. I don’t care to give my family margine but she always insisted. Next batch I will try the butter. And I agree with the reformulating theory. I did see the site. Thanks for the ideas. 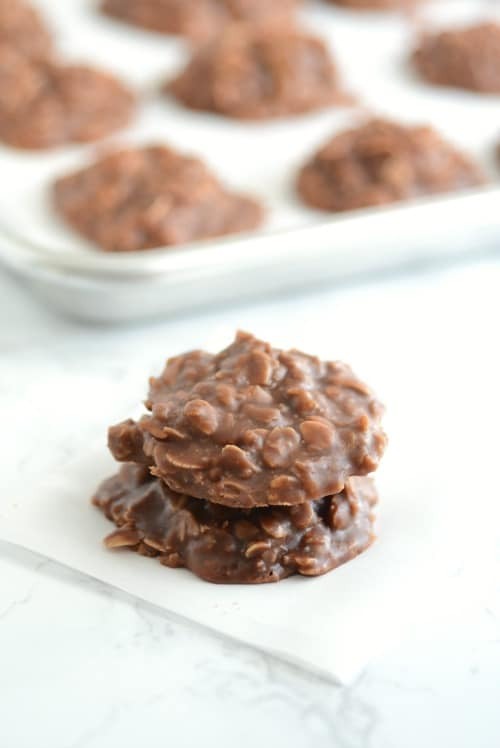 I have used many no bake cookie recipes over the years and this one is my absolute favorite. I sometimes have trouble with the cookies not setting up when using other recipes. I do admit that I am novice and it’s probably my technique. None the less, I’ve never had that problem with this recipe. 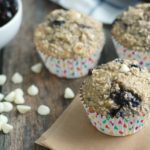 I also really enjoy that this recipe calls for old fashion oats vs quick oats. So glad you like it and have success with it too! Sally Thank you so much for this recipe! Reading about it reminded me of my mom and grandmother– both great cooks/bakers. I remember they both made their own version of a no bake cookies and my brother and I LOVED them. I like to think of them as Impatient Kids Favorite Cookies!! I’m using your recipe tonight exactly as written for a Cookie Bake Off at work tomorrow. I was dreading (a little) baking but now I’m ready to make these super fun cookies. Many thanks! !